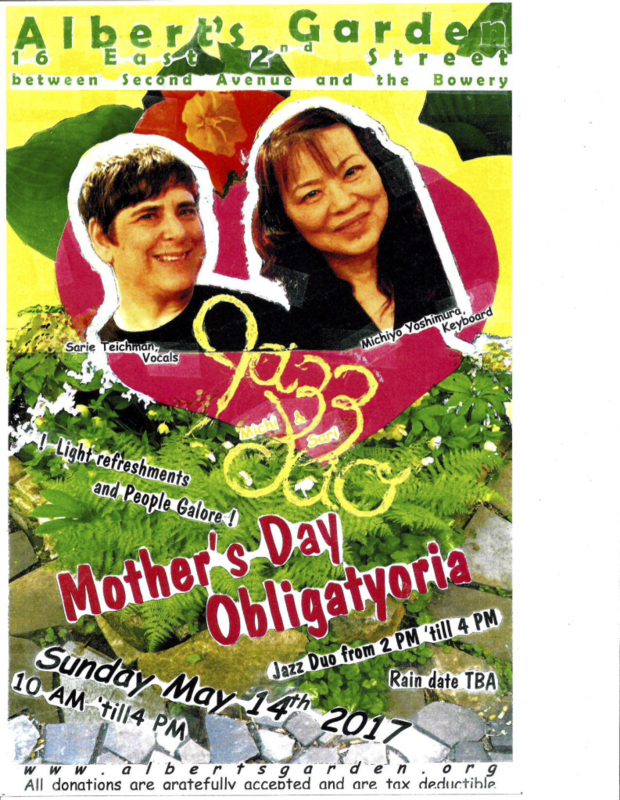 Albert’s Garden invites you to celebrate Mother’s day Obligatyoria on Sunday, May 14, 2017 from 2pm – 4pm. For information about this upcoming event, please contact us at Albert’s Garden or you may call (212) 244-2288. See flyer for more details. We hope to see you there!